Jared Polis did not evade income tax in the past: he just didn’t pay any. It was no crime, but certainly hypocritical for a multi-millionaire elite socialist who wants all of us to pay more taxes. A few years ago, he supported a gas and oil setback resolution of more than 2,600 feet. Running for governor, he now is opposed to the 2,500-foot setback. However, one should not be surprised that, if elected, he does everything in his power to stop oil and gas production in the state. Additionally, one should expect that he will push to make Colorado a sanctuary state. He will try to push through a single-payer health system that would bankrupt the treasury. For those concerned about PERA, Polis is a much greater danger than Walker Stapleton. In fact, contrary to the negative adds, Walker Stapleton pushed hard for PERA reforms that resulted in Senate Bill 200 that added more than $200 million to PERA in order to keep it solvent for the near term. In the November election, choices are very clear. The Democrats unite on a platform of open borders, banning ICE, higher taxation, single-payer health plans, and resisting Trump or anything Republican. They are opposed to oil and gas. They want to control what one drinks, what one eats, what doctor one sees and even what kind of straws one uses. They know what is best for the rest of us. Democratic Socialism has become a firm plank of the party. Locally, one must applaud Colin Wilhelm in his race for the state House for his honesty. He openly states his opposition to the oil and gas industry but has no idea how the country would replace that revenue that is more than 50 percent of the county’s income. He is in favor of making Colorado a sanctuary state. Additionally, he wants the taxpayers to pay for his student loans. Perhaps he should have studied in an area that would have provided him with sufficient income to pay off that loan rather than retroactively asking the taxpayers to do so. Rep. Bob Rankin, Mr. Wilhelm’s opponent, is the ranking member of the House Appropriations Committee. He is also the House Republican member of the Joint Budget committee. He has the record for most bills sponsored and passed out of the House. In 2018, he sponsored bills as varied as those providing for funding for early childhood development, veteran’s affairs and access to disability services among others. He is a tireless worker for Garfield County at the state level. As an engineer and former small business owner, he understands numbers. While admittedly a conservative, he gets along with well with his Democrat colleagues as shown in the number of bills which he has sponsored as a minority member. It is essential that we keep Bob working for rural Colorado in the House. County Commissioner Tom Jankovsky approaches problems rationally, with common sense and works very hard for all of us. He is a fiscally responsible conservative with a business background. Through his leadership, Garfield County is debt free and has one year of reserves. He has worked hard for more affordable health care, day care and housing. He is a strong advocate for our farming and ranching industry. When Tom first came to the commission, he convinced the county to change the deductible on liability insurance resulting in a savings to the taxpayers over one million dollars. At a recent Garfield Clean Energy symposium, Tom pointed out that new codes and regulations would result in increase in the cost of affordable housing and hurt the poorest residents of the county. We need Tom on the Commission. I understand that Tom’s opponent is a very nice lady. However, she has limited experience. She is careful to avoid taking a position on anything. While she does not state her position on oil and gas, she normally sits with the Grand Valley Citizens Alliance, a group known for their opposition to the oil industry. From her Spanish language brochure, one can infer that she would be opposed to ICE, in favor of open borders and making Garfield a sanctuary county. I would also expect that she would want to spend our reserves on some of her pet projects. We are fortunate in Garfield County to have moderate Republican leaders like Rep. Rankin and Commissioner Jankovsky who respect all sides of the political spectrum and work very hard for all the citizens. Unfortunately, candidates from the Democratic Party seem to lack an understanding of our rural western culture. They do not understand how a working living is made here. Where are the moderate Democrats? As a conservative independent, I would like to have a choice. I cannot vote for candidates who favor open borders, want to ban ICE, and who do not understand the western rural culture – candidates who do not respect those who work with their hands, who hunt and own guns, who ranch and farm, who work in the oil industry, and who really would just like to have government leave them alone. 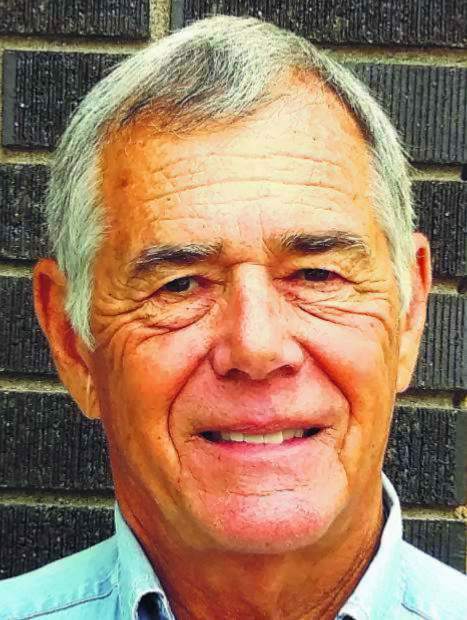 Roland McLean is a Carbondale-area resident, University of Colorado graduate, Navy veteran and retiree after more than 30 years in international construction. His column normally appears on the fourth Thursday of each month. Reach him at rmackmc@gmail.com.